From their humble beginnings nearly 25 years ago near the Richland Wye, Beaver Bark Gift and Garden Center has flourished to rank among the top 100 Garden Centers in the U.S. 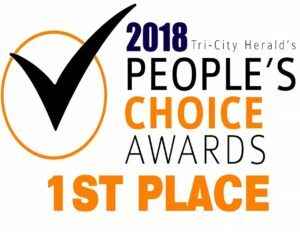 Still family-owned and operated, they continue their passion for quality plants, beautiful merchandise and their large selection of bulk landscape material. They start planting in February inside their climate-controlled greenhouse and grow the majority of their spring plants right here in Richland. As Renae Bobbett, co-owner and founder, says, “It doesn’t get any more local than that.” Located along I-82 in Richland, Beaver Bark Gift and Garden Center is decorated year-round. Easter, Halloween and Christmas in particular offer fun for the whole family to enjoy. 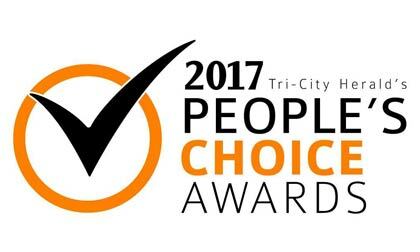 This is our 4th year in a row winning the best of People’s Choice Awards from the Tri-City Herald.